Ready-mixed concrete is sold by the volume, so it’s essential to know the area you’re filling. The price of concrete depends on many factors, including where you’re located and the type you’ve ordered. However, in general, you should be looking at a cost of between £65 and £85 per cubic metre. Anything higher and you need to query the cost with your supplier and compare it against other prices to ensure you’re still getting a reasonable deal. There are a few essential facts to understand before you go ahead and order your ready-mixed concrete. Firstly, concrete comes in a variety of types and densities, and different products will suit different projects. In addition, mixes can vary by colour and texture, so it’s important to know the finish you want from the outset. These variations will all affect the price, so expect to pay more for anything other than a basic product. There are strict regulations on the density of concrete required for different areas. For example, a house foundation where only foot traffic occurs doesn’t need as much concrete as a driveway or garage floor. As a general rule, areas that need to withstand heavy vehicle use require 25per cent more concrete. Concrete is sold by the cubic metre, so it’s important to have worked this out before you start contacting suppliers. A standard rectangle is fairly easy to calculate, but if the area being covered is more complex, you’ll need to break it down into various shapes and work out the volumes appropriately. Luckily there are a lot of online calculators to help with this, and it’s a good idea to use several for the same sums to ensure you’ve got the right figure. One of the most important things to remember when buying ready-mixed concrete is to take into account potential wastage, spreading and spillage. This means you need to buy between 5 and 10 percent more than you need. There’s nothing worse than discovering you haven’t got enough concrete when half the slab has been spread and it’s already starting to dry. You’ll also need to agree a certain moisture level with your concrete supplier. The wetter it is, the easier it is to spread. However, you can always add water on-site if needed, and it’s better to opt for a drier mix than something that’s too wet. Concrete prices can quickly spiral out of control if you don’t factor in delivery expenses. It’s important to talk to suppliers about your needs and they’ll be able to help you determine the best time for delivery. There are several questions you need to ask to ensure you’ve covered all the bases. How long will the truck wait? To make scheduling as efficient as possible, companies don’t want to wait on site for an extended period of time. It takes about five minutes to unload each cubic metre, and an additional 10 minutes overall to prepare and sign off paperwork. Any delay can result in costly extra fees. If you’re worried about not having enough time to get the job done quickly, contact some contractors on Quotatis for extra help. How quickly will the concrete cure? This is another important question to ask as you don’t want concrete to begin setting before you’re ready, resulting in an entire batch being wasted. 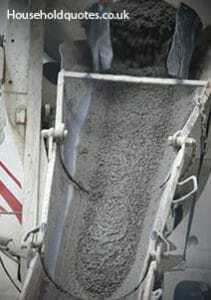 In general, ready-mixed concrete is workable for an hour and a half. After this time, it’ll begin to cure. In hot conditions, however, you should aim to complete the job in less than an hour. In some cases, such as bad weather, you might need to postpone your concrete delivery. However, failing to find out from suppliers the latest cancellation time can be costly, especially if your concrete has already been mixed and is on its way. Are there extra costs for partial loads? To get the best ready mixed concrete prices, it’s essential to do your homework and ensure adequate preparations have been made. Planning for every eventuality is vital so concrete isn’t wasted and you don’t end up making a very expensive error.